This is a skills tournament for beginners to advanced players in the following age divisions. A guide to self ranking is on the registration page. 70+ if we get enough players. First 15 players to register for each singles division will be locked in. Players who are 50+ can choose to play in the 16-49 age division. Players can only play in one division. 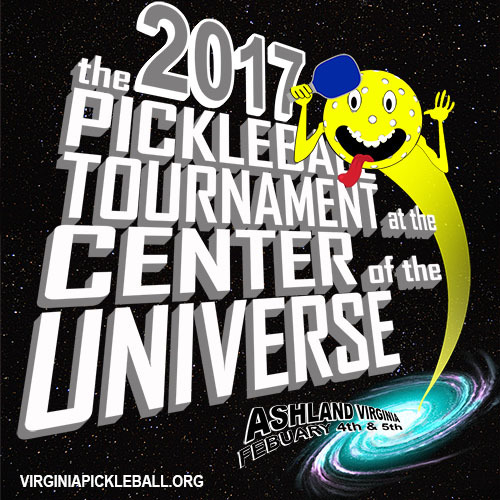 The Second Largest Pickleball Tournament in Virginia! Check-in starts at 8am with 9am start. Winner’s bracket games will be best 2 out of 3 games. Looser bracket will be games to 15 win by 2. This is a non-sanction tournament. You “do not” have to be a USAPA member to play. Indoor Jugs balls will be used for play. Food truck will be available through most of the day. Players and guests will be participating in drawings during the day for special prizes. Metals will be awarded for 1st, 2nd. And 3rd. Metal rounds will be officiated. All players will be required to sign a waiver when you register. Please call Mike Roberts @ 804-641-6816 if you have any questions. Format can be changed by tournament director if necessary. All players will receive a sponsor grab bag and other gifts including a raffle ticket for prizes.